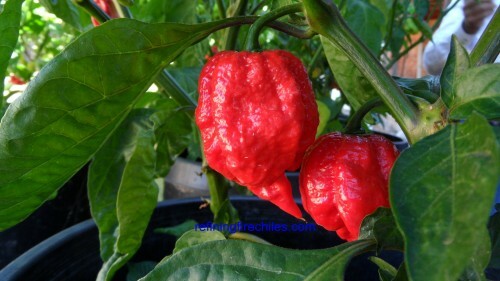 The Trinidad 7 Pot Jonah is very flavorful and one of the hottest peppers in the world. It has been tested out at over 1,200,000 Scoville units. You are getting 6 dried peppers for $4.99. Keep out of the reach of children. Wash hands with cool soapy water after handling.